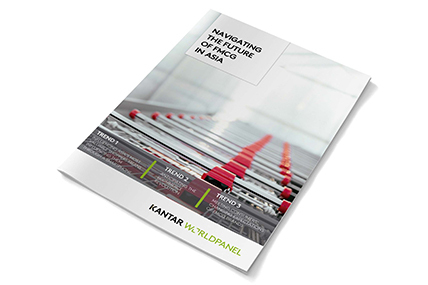 Kantar Worldpanel and Bain reveal that FMCG in China continues to face a slow road to growth. E-commerce continues to steadily gain acceptance among consumers, bringing about some clear and noticeable changes to shopping and consumption habits. 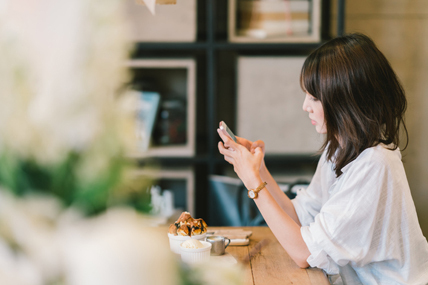 Following four years of significant growth in China, e-commerce continues to steadily gain acceptance among consumers, bringing about some clear and noticeable changes to shopping and consumption habits. However, according to volume two of Kantar Worldpanel and Bain & Company’s 2017 China shopper report, Keeping up with China’s Shoppers at Two Speeds, the rising digital activity has had little impact on certain key elements of consumer behavior, such as brand loyalty. Kantar Worldpanel and Bain reveal that fast-moving consumer goods (FMCG) in China continue to face a slow road to growth and sluggishness that began in 2011 and continued through the first half of 2017, has forced brands to innovate new ways to spur household penetration, growth and market share. While the second quarter of 2017 showed a slight uptick in sales, overall value growth for the first half was a mere 2 percent over the same period in 2016, largely due to a volume decline of .3 percent and unimpressive average selling price (ASP) growth of 2.3 percent. When viewed separately, offline sales did even worse, with total value gaining only .4 percent due to a 1.1 percent drop in volume and only 1.4 percent growth in prices. However, these numbers mask some important nuances. While many categories are losing steam, some are charging ahead, reflecting a continuation of the two-speed growth environment that Kantar Worldpanel and Bain first wrote about in their 2016 China Shopper Reports. Brands in China face new reality that now guides many of them as they develop strategies for growth. 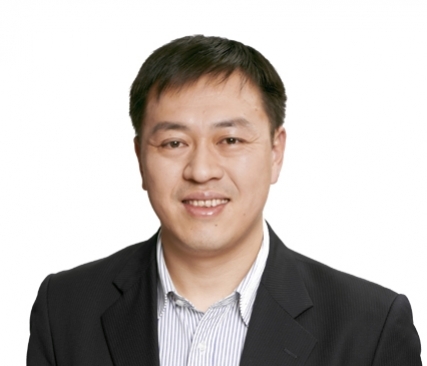 As China’s e-commerce market continues to evolve, so do the country’s consumers. Kantar Worldpanel and Bain found that, overall, shoppers are purchasing less frequently – a trend that has been on the rise for three years, along with the growth of e-commerce. As shoppers buy online, they tend to place bigger orders, forgoing the need to make trips to the hypermarkets or supermarkets. The report also points to a decline in shopping frequency for the food & beverage categories that stems from boom in food delivery services brought on by new digital technologies and rapidly changing meal habits for Chinese consumers. 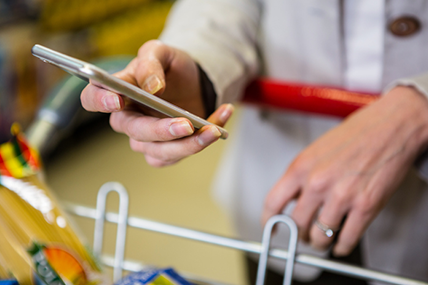 While these are clear changes created by e-commerce, the rising digital activity has not had a significant effect on some other elements of shopper behavior, including brand loyalty. Since 2013, Kantar Worldpanel and Bain have defined each FMCG category as being either repertoire or loyalist. In repertoire categories, customers that shop more frequently tend to try more brands. In loyalist categories, shoppers repeatedly buy the same brands regardless of the increase in frequency. “Our research shows that repertoire-loyalist categories still break down along the same lines as they did when we first began researching brand loyalty 5 years ago, said Bruno Lannes partner in Bain’s Greater China Consumer Products Practice and co-author of the report. “What’s changed is that we’re able to say with a good degree of certainty that category’s online penetration has minimal impact on where it lands on the repertoire-loyalist continuum. Similarly, loyalty patterns are not altered by shoppers’ movements between offline and online channels, which means that the imperative for brands to drive penetration to grow continues to be paramount. The 2013 report found that consumers purchased from different categories online than they did offline. However, as China’s consumers gain more trust in online platforms with regard to product quality, payment security, logistics and delivery - and due to extended offerings from diverse suppliers - they tend to buy from more categories online. Additionally, online average selling prices continue to be higher than offline, due to the abundance of premium products purchased online. Promotions are also still popular online – most dramatically during big festivals such as Alibaba’s 11/11 and JD’s 6/18 – but promotion rates are stabilizing. Kantar Worldpanel and Bain’s China Shopper Report 2014, volume 2 explained that the way to grow market share is to boost penetration. Yet, even in the age of online shopping – with its ease of repurchasing - penetration continues to be a leaky bucket. Brands attempting to navigate China’s two-speed growth and shopper behavior that are evolving alongside with e-commerce must earn customer consideration and brand penetration by investing in three key assets – memory structure, product portfolio and in-store execution – and viewing those assets in a new digital context. Memory structure. The goal is to build memorable, distinctive, and consistent messages and connections with shoppers as they research, purchase and recommend products. Brands not only need to target wide enough audiences, but also deliver relevant communications closer to the point of purchase. Product portfolio. Brands can optimize their product portfolio like never before, use digital advances to improve existing products and introduce new products specific to each channel and platform, using agile development approaches to continuously test and learn, introducing new products that offer consumers what they expect, including more personalized offerings. In-store execution. In today’s omni-channel world, brands are required to ensure perfect execution both online and offline, with a coordinated approach supported by the abundance of newly available data. The spending on FMCG in China during the third quarter of 2017 grew by 3.6%. 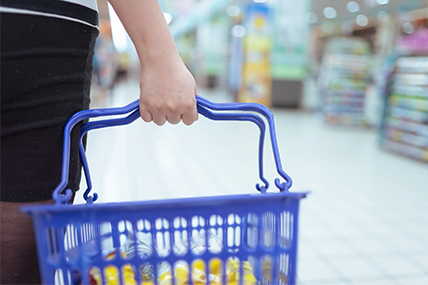 Spending on FMCG in China grew by 4.6% compared to the same period last year.